Learn how an open creative process makes collaboration easier and more effective. When you’re co-creating with a group of freelancers, vendors, agencies, and cross-functional in-house departments, keeping everyone on the same page can be a challenge. ​​​​Teams of this size and caliber need organic collaboration—from pretty much anywhere— with minimal disruptions. By creating a culture of transparency, your team can elevate accountability, align ideas, and show you’re willing to figure out problems together. 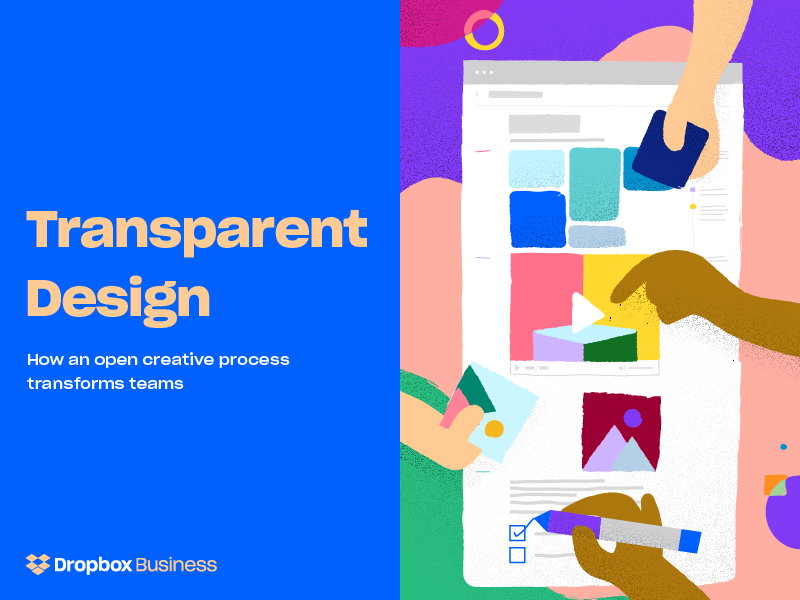 ​​At Dropbox, we’ve adopted an open creative process known as “transparent design.” And that’s made a big difference in helping us improve our collaboration and creative flow.